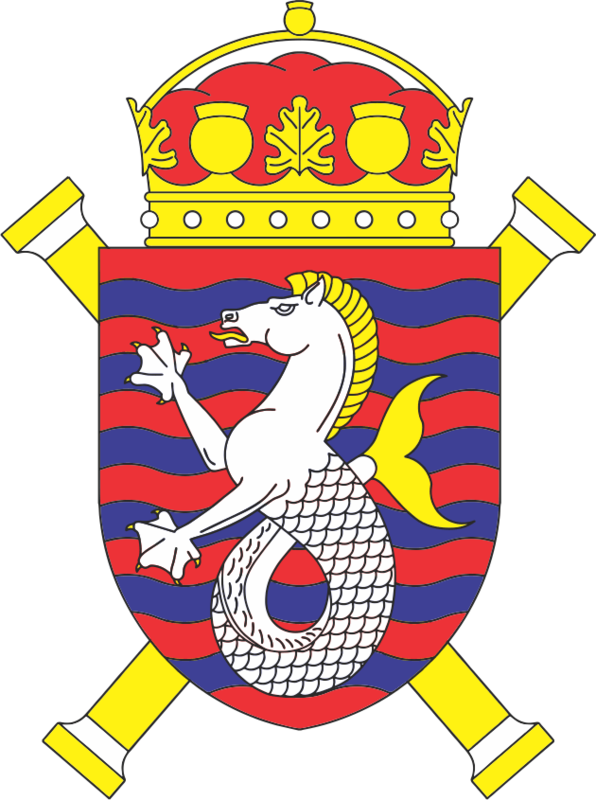 Gules, six bars wavy Azure, over all Hippocamp Argent, armed, langued, crined and queued Or. Above the shield herald’s crown. Behind the shield, two herald’s batons in saltire. Bars Wavy represent the Macedonian rivers: Vardar, Treska, Pchinja, Bregalnica, Babuna, Crna. The hippocampus is one of the symbols attributed to Alexander the Great in antiquity.